The United States will soon send non-Mexican asylum seekers who cross the US southern border back to wait in Mexico while their requests are processed, the Trump administration announced on Thursday. Immigrant advocates and human rights groups quickly denounced the policy change as illegal and violating the rights of refugees. Mexico’s government said that it would accept some of those who are waiting for humanitarian reasons, in what many will see as an early concession to US President Donald Trump’s administration by Mexico’s new president, Andres Manuel Lopez Obrador, who took office on December 1. “We want to discourage those who are claiming asylum fraudulently,” US Homeland Security Secretary Kirstjen Nielsen told a congressional committee on Thursday, describing the plan. The ministry said the actions taken by the Mexican and US governments do not constitute a “safe third country” scheme, where migrants would have to request US asylum while in Mexico. In response to questioning from Democratic US Representative Zoe Lofgren during her congressional testimony, Nielsen said the new policy will not apply to Central American unaccompanied children, who have some special protections under US law. Republican Representative Bob Goodlatte, the outgoing chair of the House of Representatives Judiciary Committee, praised the Trump administration for having reached the deal with Mexico. “This agreement made under statutory authority will enable true asylum seekers to seek that status in a safe and orderly manner,” Goodlatte said in a statement. Trump tweeted on November 24 that migrants at the US-Mexico border would stay in Mexico until their asylum claims were individually approved in U.S. courts. The new policy comes as Trump continues his efforts to sow fear over the thousands of refugees and migrants who have made their way from Central America to the US-Mexico border since mid-October. Many are fleeing violence, political persecution or extreme poverty. Since arriving at the border last month, those part of the collective exodus who wish to apply for asylum have been told that they may have to wait up to two months before being able to claim asylum in the United States. At the port of entry in Tijuana, among other locations, migrants and refugees are managing an informal list of those wishing to cross into the US to apply. The delay and dire conditions at the border have prompted many to cross into the US between officials ports, where most are detained. Others have made the journey back to their homes in Central America. 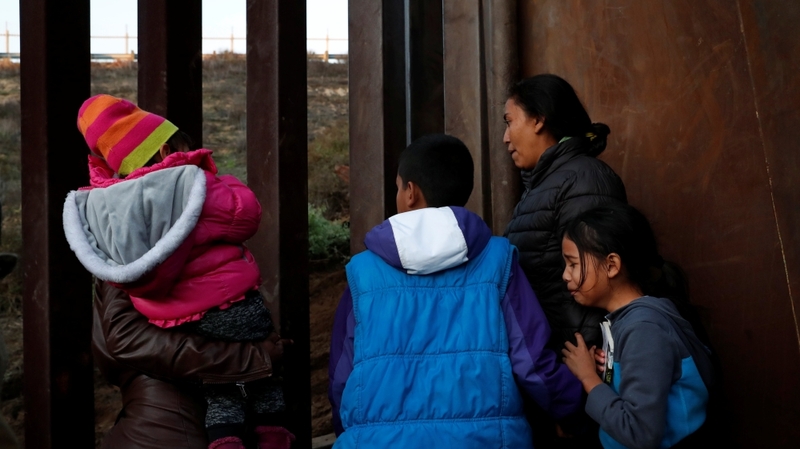 Rights groups have accused the US government of intentionally stalling processing at the border to deter migrants and refugees from making the journey north. US officials have denied the accusations. Meanwhile, Trump has sent mixed signals this week on whether he will allow a government shutdown if Congress does not give him the $5bn he has requested for his proposed border wall. On Thursday, as the midnight Friday deadline loomed to avert a shutdown, Republican House leadership said Trump would not sign a compromise temporary spending deal, citing the president’s dispute with Democrats over wall funding.